Some new Windows Phone 8 users are reporting a power bug has hit two companies’ flagship phones for the system — the Nokia Lumia 920 and the 8X by HTC. According to service forum reports on Windows Phone Central, some users’ phones have been turning off at random and are showing poor battery life. 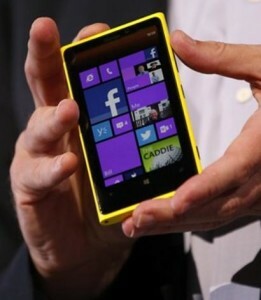 Some Nokia Lumia 920 users are also reporting their screens have been freezing. Those experiencing problems have seen the reboots range from multiple times per day to one every few days. The phones aren’t warm, which indicates they aren’t overheating, and people have had some success uninstalling some of the apps that come with the phones. Others have decided to wait for updates. Not all users are experiencing problems. I, personally haven’t experienced the bugs with tests of the Nokia 920 or the 8X. Both phones have operated normally and have had enough battery to get through a normal day’s use. Microsoft launched its first line of new Windows Phones on Nov. 9 and more models — the Nokia Lumia 822, 820, and 810 Samsung ATIV S and HTC 8S — are on their way. The new operating system is an important one for Microsoft, which is trying to compete with Apple and Google in the smartphone software market. The company has had trouble gaining a significant chunk of the market with its previous smartphone system, Windows Phone 7, but is making a big advertising push to get users to catch on to its newest offering. Next articleAdulterers Beware: The Internet Never Forgets!